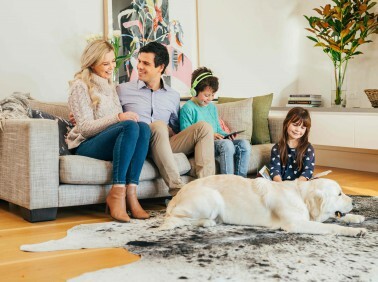 The Dry-Touch carpet cleaning system used by Kensington’s MyHome Carpet Cleaning services leaves your carpets ready to walk on in as little as just one hour. The cleaning solutions we use are infused with Healthguard which kills mould, fungi and bacteria. This revolutionary cleaning system returns your carpets to their natural balance, brightness, colour and softness. With MyHome’s Dry-Touch system, you will not have that wet carpet or chemical smell when the job is done. Instead, a light, lemony fresh scent will be a pleasant addition to your home. MyHome Kensington Cleaning Services will help you to reduce the risk of stretching and shrinking in your carpets because it does not use harsh chemicals, too much heat, or large amounts of water. The good people of Kensington regularly choose to put carpet on their floors to add extra warmth and coziness to their homes. They also make this choice because they love the choices of materials, designs and colours. The good news is that your carpet or rug will bring more than warmth to your home. It will also save on your energy usage. Adding your own personal style to your home is always desirable, but it does take routine maintenance to keep any rug smelling and looking as fresh as when you first had them laid. MyHome Carpet Cleaning Kensington is a professional cleaning company that regularly cleans carpets to keep them fresh and clean and healthy. This is a great way of protecting your investment. The revolutionary Dry-Touch Cleaning system used by MyHome increases the life of your carpets and that saves money because you will not be replacing them sooner than you would like. That means your carpets will continue looking fresh and clean much longer. Even better than all that, is the fact that MyHome cleaning services will not soak your carpets in water. That means they will be ready to walk on in about an hour after we’ve cleaned. We demonstrate our confidence in our MyHome Kensington Carpet Cleaning service by offering a 100% satisfaction guarantee! If you are not happy the first time, we will come back and clean your carpets again at no additional charge! Cleaning carpets properly in Kensington is more complicated than it seems. 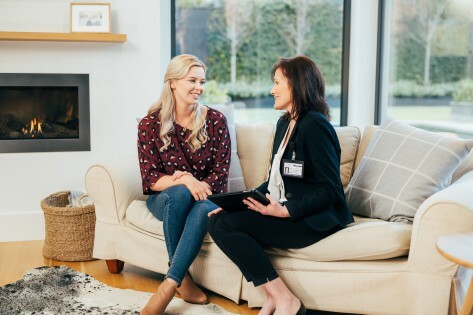 The majority of traditional carpet cleaning companies use hot water that has chemicals added to it, but that is not how it is with MyHome Kensington. Hot-water extraction methods are damaging to carpet fibres and upholstery fabrics, and they leave a damp residue which attracts dirt quickly. 13 22 31 or fill in our online form and we will get back to you as soon as possible.